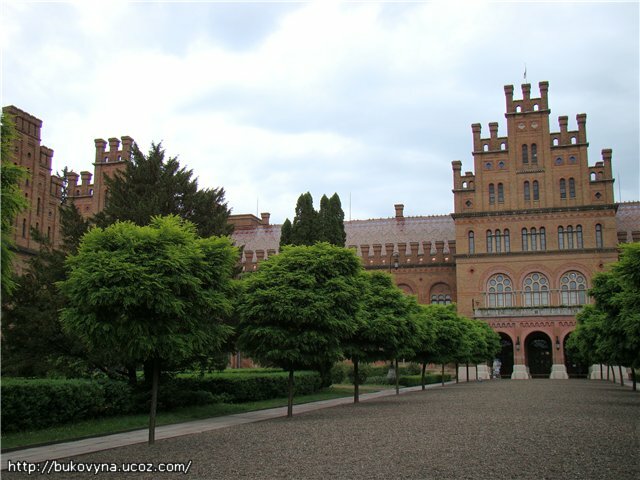 The unique ensemble now serving as the main building of Yury Fedkovych Chernivtsi National University is a masterpiece of Western Ukrainian architecture of the second half of the XIX century. 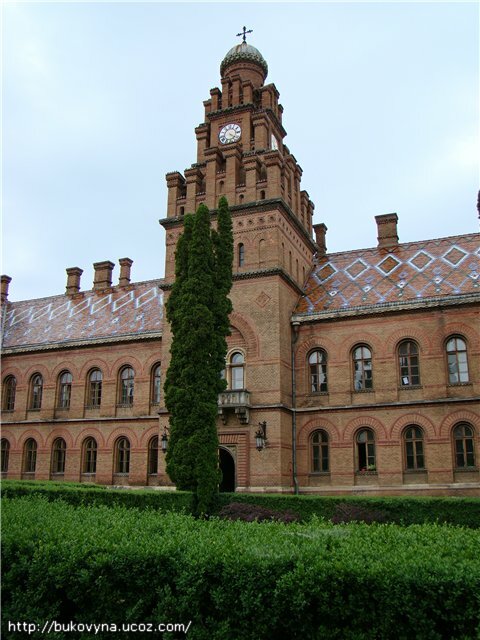 The residence was built in 1864-1882 based on the design and under the guidance of Josef Hlávka (1831-1908), a famous Czech architect, scientist and academician. 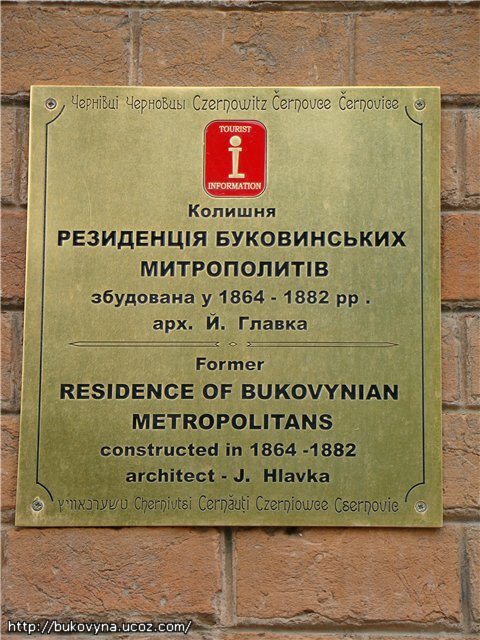 Hlavka designed an alternative eclectic complex of buildings in which elements of Byzantium and Roman styles prevailed. The design took medal places several times, in particular at the Exposition Universelle in Paris. The ensemble composition is fairly complex but has a very accurate layout. 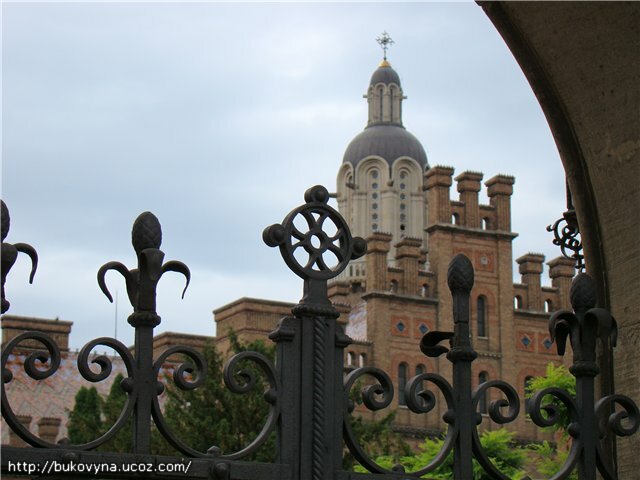 The ensemble consists of three monumental buildings – the main building, the seminary joined with the Church of the Three Sanctifiers and the presbytery. 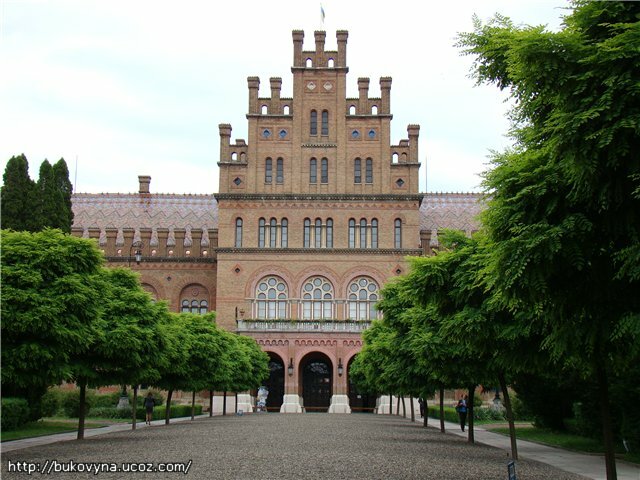 The main building (now the central University building No.5 in which the university administration and the foreign language department are placed) served as the metropolitan residence with spacious apartments where he worked and took rest and luxurious halls where he arranged audiences with distinguished guests and where eparchial sittings took place. 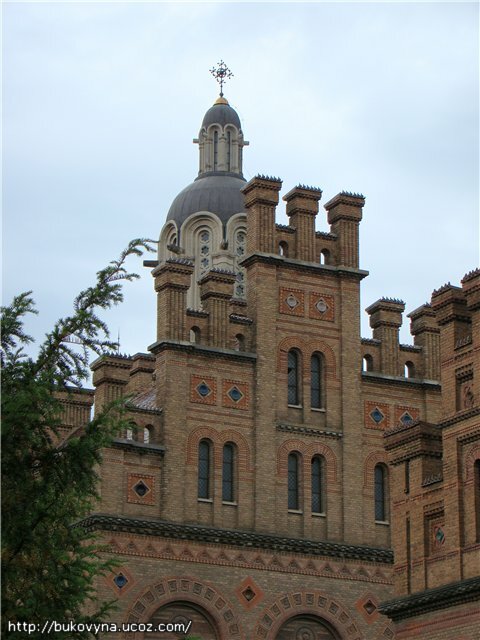 In the corner of the left wing of the building there was the chapel of Ivan Suchavskiy, archbishop’s home church, from which the construction of the whole Residence started. The Synod Hall impressing with its beauty and majesty is one of the nicest in Eupore. It was decorated with marble (hence comes its today’s name – the Marble Hall) and furnished with side column galleries supporting the wooden ceiling decorated with rich ornaments. In 1944 the Synod Hall was damaged by a fire which harmed not only the indoor scenes but also killed the synod library including early printed books and archives. 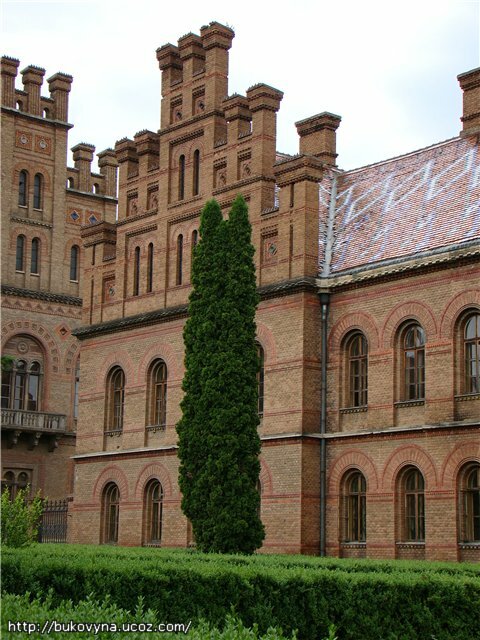 Today’s appearance of the Marble Hall is just a copy, a fruit of renovator efforts. Another room of the main building which retained its initial appearance is the meeting hall of the Holy Synod (today’s Red Hall). Its walls are decorated with Chinese red silk, the wooden ceiling has ornaments and the floor is covered with parquet made of European beech, oak and green lime tree. One of the Red Hall walls has giant Venetian mirrors. Made under an old technology, they have five layers of silver. 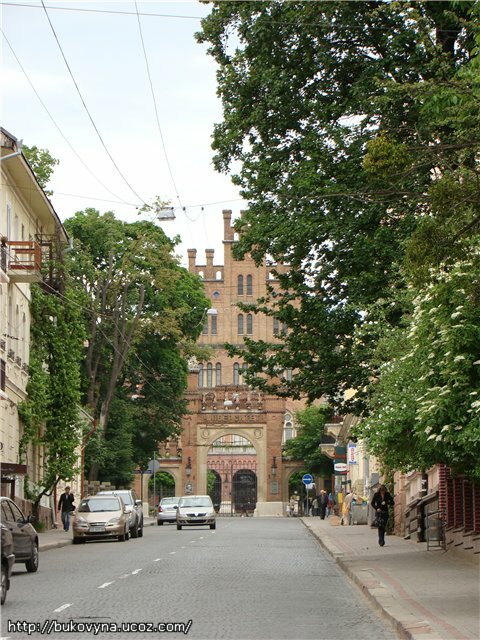 Today’s University building No.6 on the left from the Residence initially served as a shelter for two religious educational institutions. 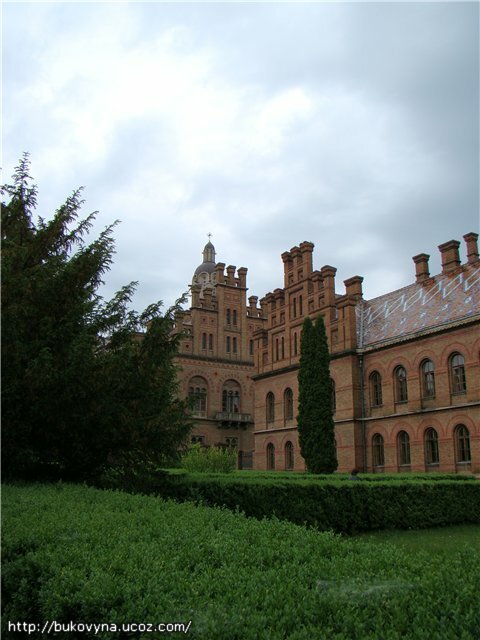 One of them was the seminary founded in Chernivtsi yet in 1828. Here it occupied the first floor of the building. 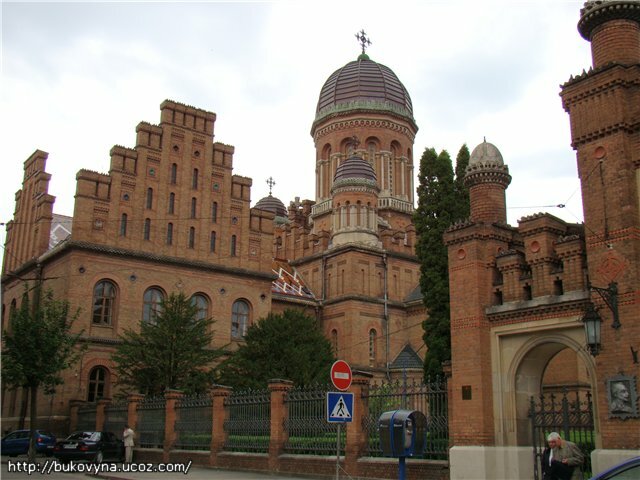 Its ground floor, at the initiative of the metropolitan, served the needs of Greek Orthodox theological faculty of the newly established Chernivtsi University (founded in October 1875). 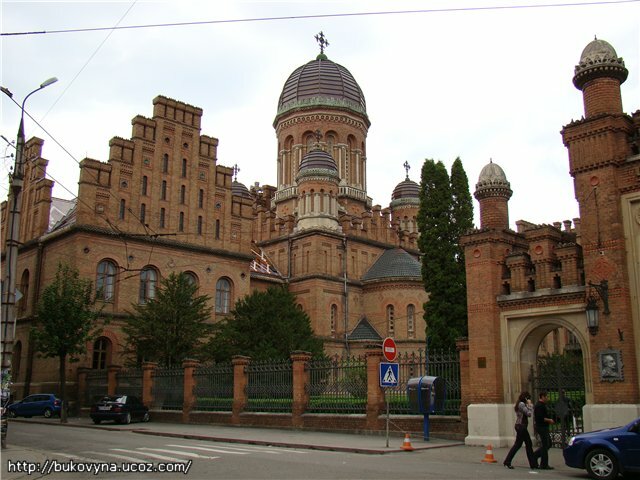 The U-shaped seminary building surrounds the Church of the Three Sanctifiers from three sides. 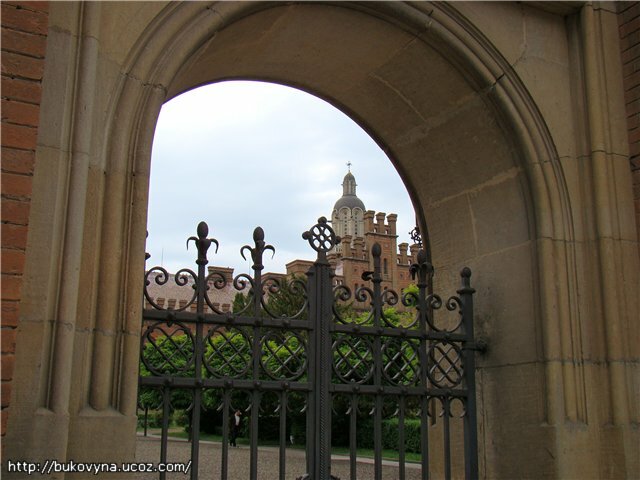 Its first foundation stone was laid by the archbishop Eugene Hakman in April 1867. 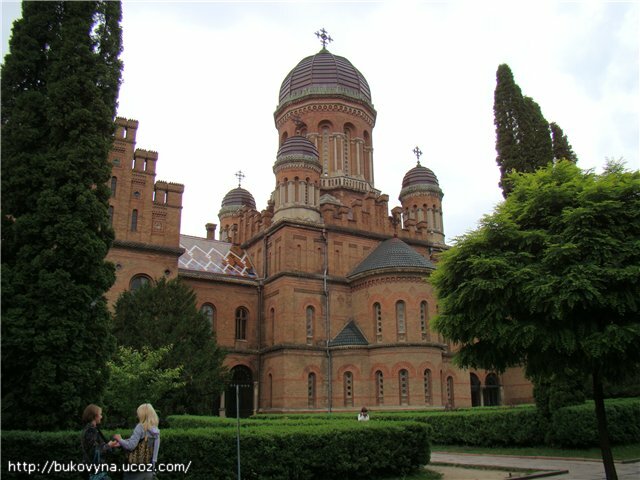 Due to the circumspect architectural structure the church has wonderful acoustic features. 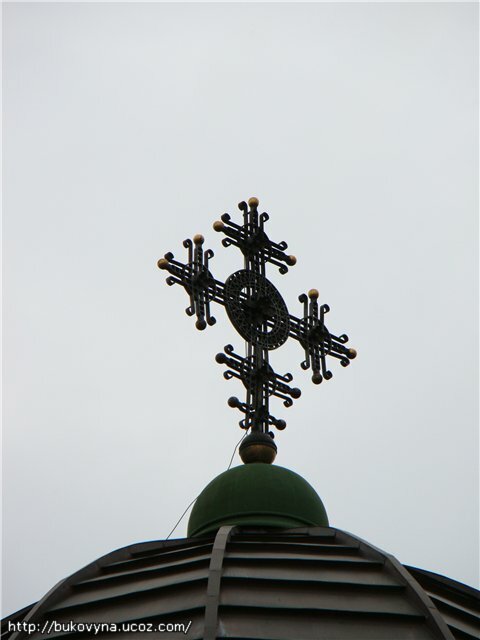 The décor of the church was made by several top-level professionals. 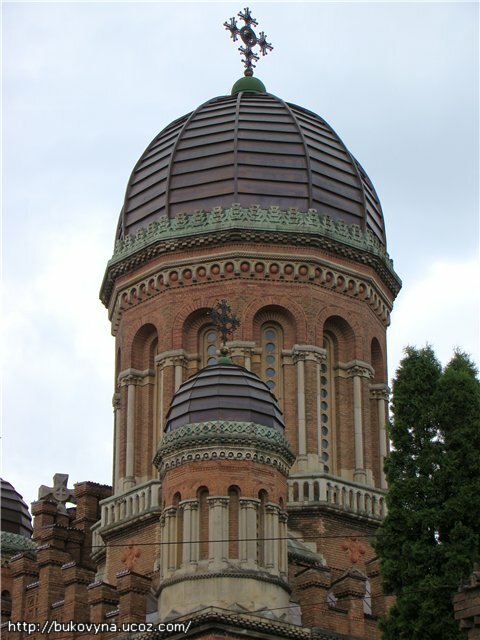 The church ornament was painted by Karl Jobst, a painting professor from Vienna. The tempera paintings with Bible scenes were drawn by his hand. 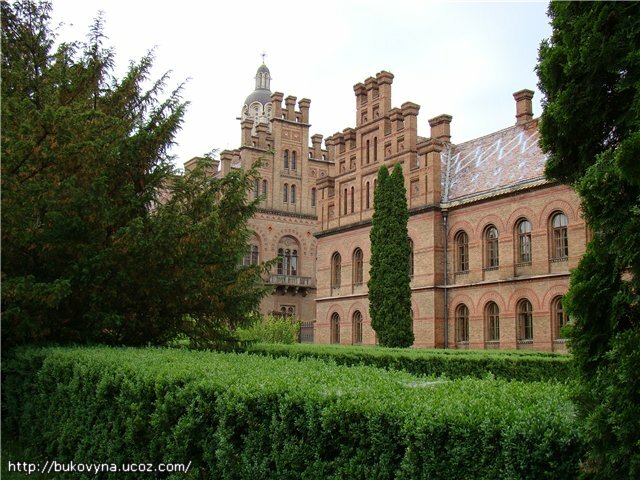 In 1993 the Theology department was re-established as a part of the Philosophy and Theology Faculty of Chernivtsi University and the seminary church started its service again. 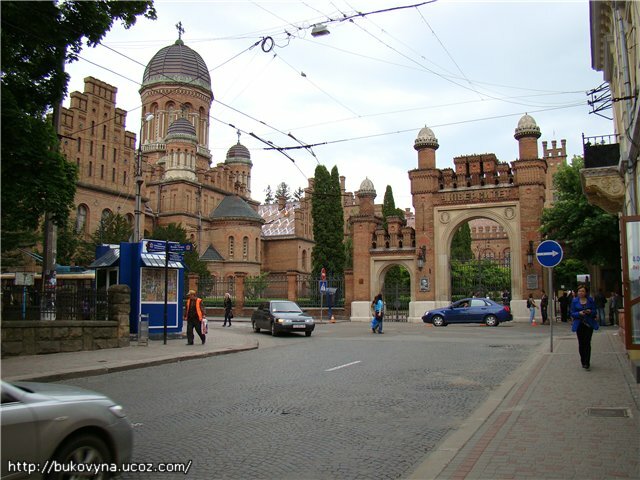 The building on the right from the central entrance (now University building No.4 allocating the Geography Faculty) was a shelter of the clerical school, religious museum and a candle factory. 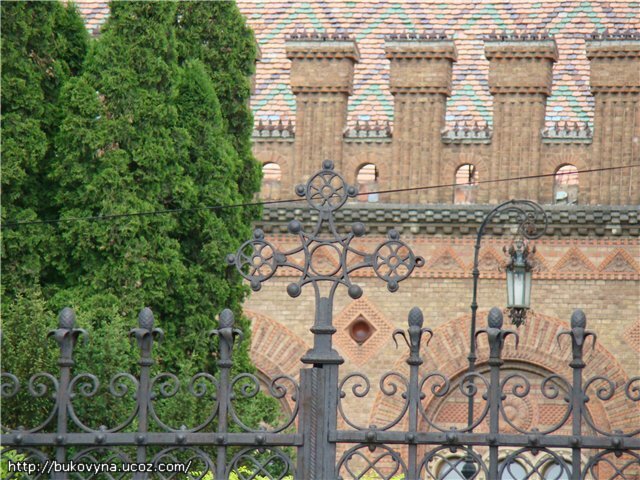 The roof of the presbytery, as well as of the whole Residence, is covered with ornamented tiles made in Bukovynian folk style. 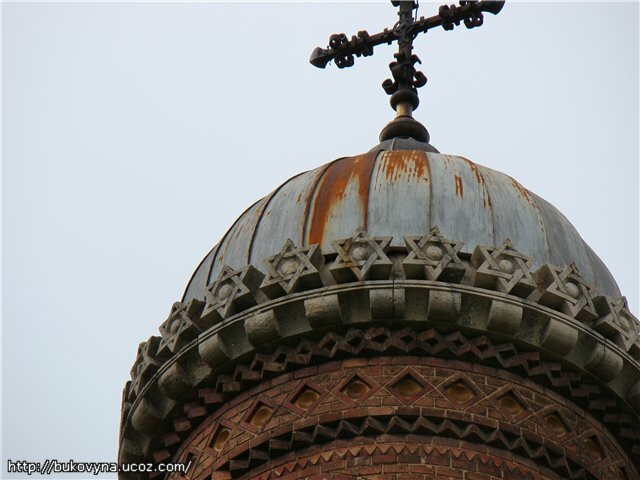 In the middle of the structure above its main entrance rest a clock turret the dome of which is decorated with Stars of David. 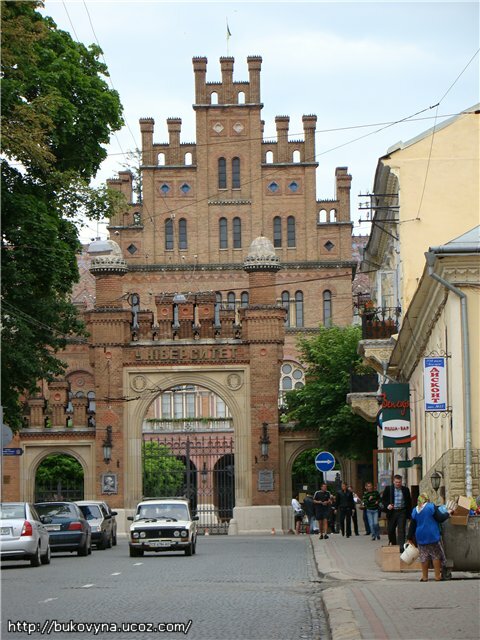 They symbolize the gratitude to the city Jewish community for its financial help to the Bukovynian orthodox metropolis. 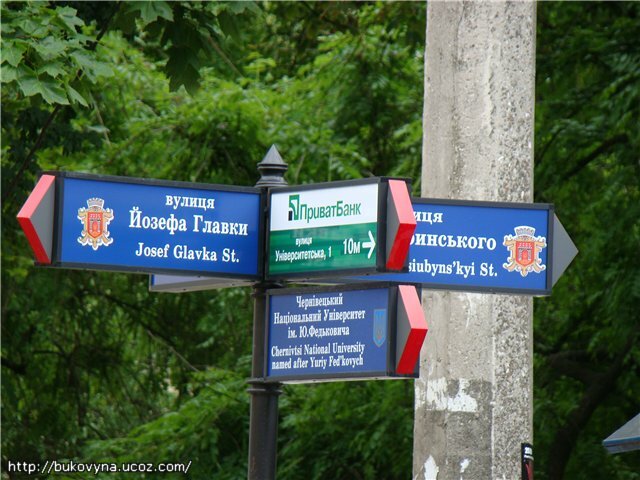 Corner of Universytetska and Kotsyubynskoho st.